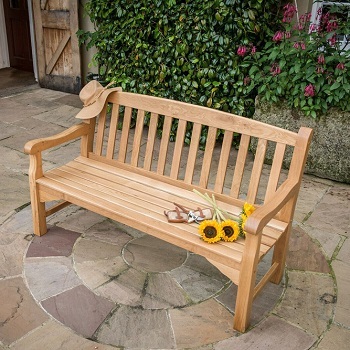 This three seater garden bench has been made from high quality solid oak. 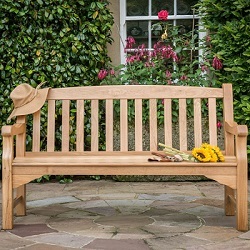 Built to last, the bench looks as great now as it will in years to come, as over time oak will weather to a silver grey colour and will harden. 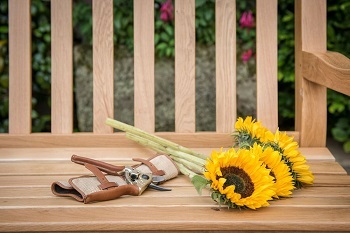 Each piece is beautifully unique with it's grain patterns and small knots. 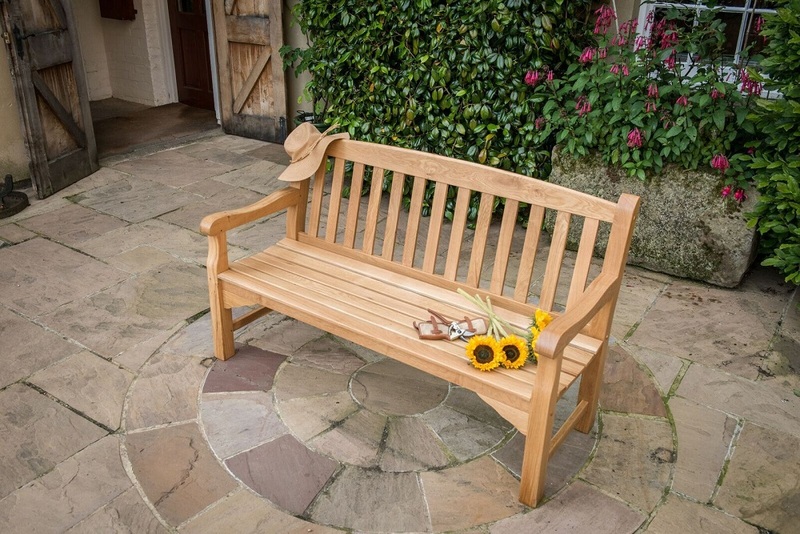 This bench is also suitable for commercial use in parks, leisure and hospitality industries due to its sturdy design. This charming three seater bench has been crafted from solid oak. 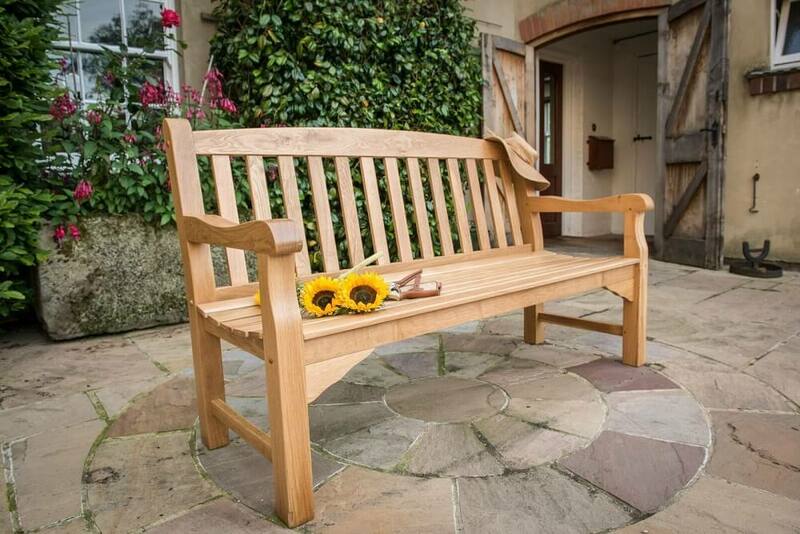 It looks absolutely fantastic in any outdoor space, be it a garden, patio or deck. 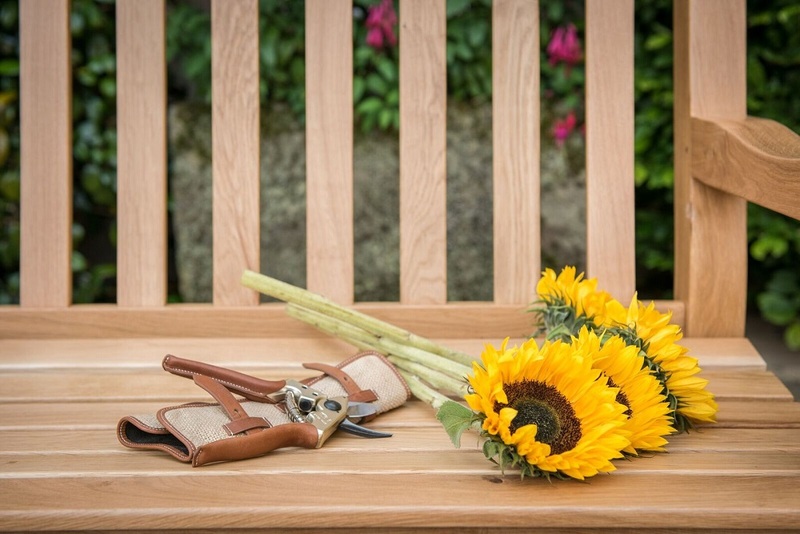 It comes flat-packed with all fittings and fixtures included for simple assembly (see below) and every part of it has been treated to withstand the harshest of weather conditions. 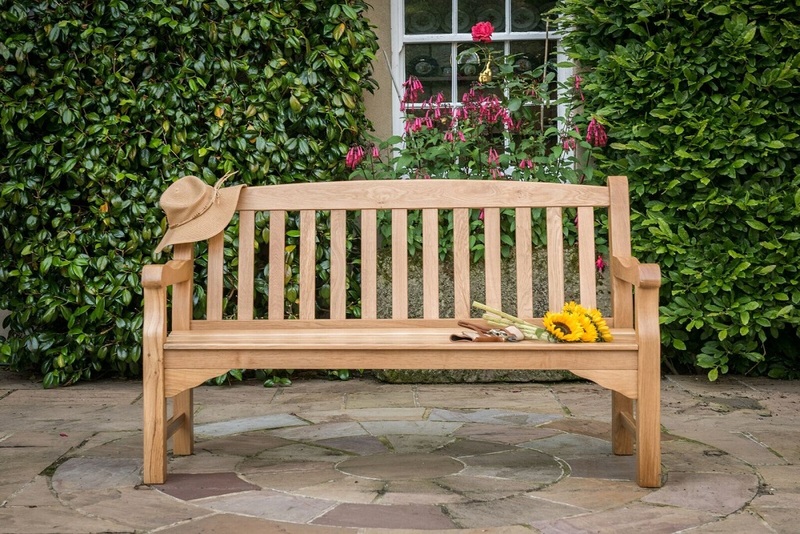 The bench will only get better with age, as the oak slowly hardens and turns to a mature silver wood colour, you can enjoy this beautiful product for years to come. 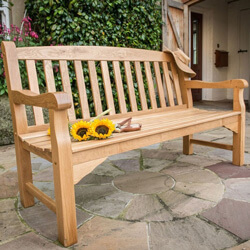 This heritage oak bench is delivered boxed and in 5 easily assembled main parts. 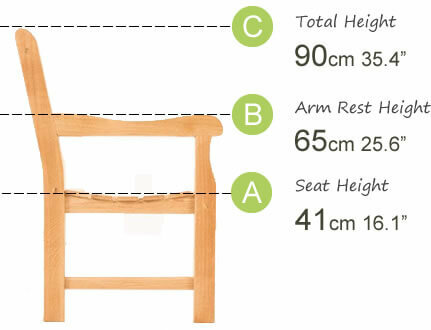 The back comes as one complete section, along with two pre-assembled arms, a complete seat section and a front support bar. 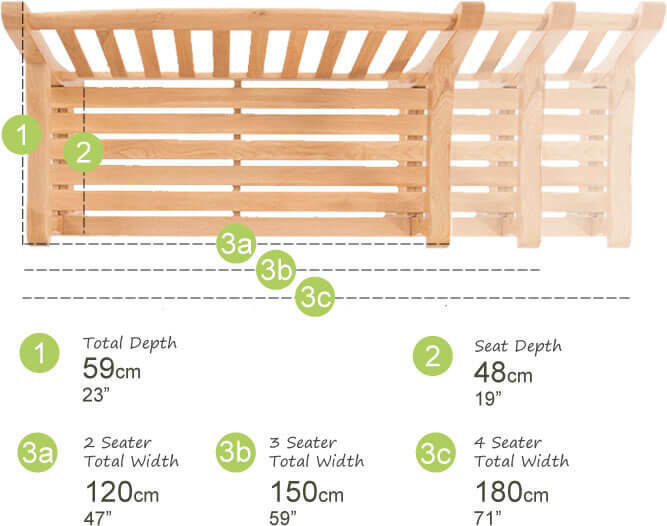 Assembly should take between 20mins to 30mins and requires no power tools. 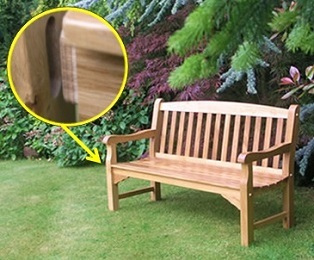 Once assembled the bench is extremely sturdy due to the mortice and tenon joint design. 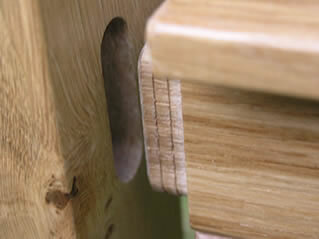 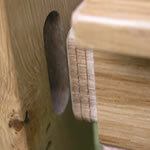 The screw heads on the arms can be hidden with the supplied wooden plugs once assembled.